This week's Free GM Resource comes from Matt Jackson's blog: Lapsus Clumni. Matt makes some awesome maps available through Chubby Monster Games. You can get some of Matt's Moleskin Maps online at Drive Thru RPG, and you can get a sample of his work on his blog. The first couple of Zines are only a few pages, but they do get longer. Even if they were all only three pages long, they would still be a good read. 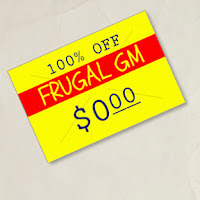 I think they are worth checking out, which is why I'm helping spread the word on this wonderful Free GM Resource. Thanks for the nod! I +ed this along time ago, intending to return and thank you and I completely forgot. I came across the post again and wanted to say thanks!